The Art a la Carte, First Friday series set to kick-off the 2011 season on April 1st, and organizers are hoping to build on the incredible success the event enjoyed in its inaugural season. Every first Friday of the month hundreds of residents take to Milwaukie’s Downtown streets to hear great live music, eat great food, listen to live poetry, and take in fantastic local art. The series also features activities for kids, so the event is perfect for the entire family. The Milwaukie Community club is sponsoring a musical program Sunday afternoon, March 20th from 2 to 4 p.m. to benefit the North Clackamas Family Support Center (see the end of this post for info about the NCFSC.) The program is a 'John Denver Tribute", provided by Ted Vigil who looks and sound like John Denver, and will be singing his favorite numbers. Home made cookies will be served at the intermission. Tickets are $10 person. For information call 503-799-8633. ﻿ North Clackamas Family Support Center is a community-based program that provides services, referrals and information to individuals and families. Referrals can be made by: Parents, Teachers, Principals, School Counselors, School Nurses, Community Members, You ! Donations of children’s clothing, school supplies, hygiene items, and non-perishable food items gladly accepted. For more information, please contact our office at (503) 353-5663. Linda Hedges advised that there were Emergency Preparedness brochures and hand-outs on the table at the door and requested that everyone make sure they had their 72-hour kits ready and that their families had made plans on how to function during and after a disaster. Police Report: Captain David Rash distributed a graphical presentation of crime data in Milwaukie during the month of February. No property or personal injury crimes were reported in our neighborhood during that period of time. An unidentified neighbor asked what crimes we could expect to see on the Campbell campus if the school is closed. Captain Rash said there could be some vandalism and trespassing. One neighbor advised that she and many others who live around the school have always and will continue to monitor activities at the school and opening her front door and hollering at the kids was an effective crime deterrent. Captain Rash requested neighbors call 9-1-1 to report any criminal activity that they observed. An unidentified neighbor enquired whether there were historical statistics available on crime on the Campbell campus. Capt. Rash said he would be able to check on that but did not have them at the time. A neighbor asked why the speed zone had been reduced on Railroad Avenue from 40 to 35. Councilor Hedges, Chair Weaver and Treasurer Aschenbrenner explained that because of the poor condition of the road the NDA and city over the past 2 years had pursued making changes to the school zone and speed limits on Railroad Avenue. An Oregon court decision made last year led the city to believe that the school zone on Railroad Avenue was not enforceable by the police department, so that was removed. The NDA and city requested that ODOT perform a speed survey on Railroad Avenue and the result was that a more appropriate speed was 35mph. Those signs went up two weeks ago. NOTE: Captain Rash copied NDA officers after the meeting on an email to the Traffic Enforcement Division for additional patrols in the next week or two on both Railroad Avenue and Home Avenue in response to speeding traffic. The Prescription Turn-In Day will be April 30th at the Public Safety Building. A Shredding Day will be June 18th, and Child Safety Seat checks will also be done that day. The Department is considering receiving a new K-9 that has been made available from the Washougal, Washington Police Department. The dog is already trained and certified, and the city has 5 potential officers who will take the dog and be his handler. One of the PD’s vehicles is already kitted out for a drug sniffer dog. The dog and his handler will attend training in Washington State and then be posted to regular duties. Walk Safely Milwaukie Program: Mary Weaver described the funding mechanism and purpose behind this newly-funded (by state gas revenues) program. Linda Hedges reported that the HCNDA officers have compiled a report on the Campbell neighborhood’s traffic and safe walkability issues that was submitted in February. The next step is to identify and then work with a consultant on 3 or 4 projects identified as those we most want to have funded. Those proposals will then be submitted April 15th. Some projects already identified include a mobile speed display sign; a walking path on Home Avenue’s east side from Wilma Ct. to Hunter Ct., a crosswalk on 42nd around Franklin or Adams, and some kind of traffic calming near the Park on Home Avenue. The walk safely reports are available on the city’s Community Development website. Hector Campbell Possible School Closure: Chair Weaver described the letter that our NDA sent to the North Clackamas School Board that expressed our dismay at not being included in the school closure deliberations and announcements, and that we hoped to improve our communication in the future because we will remain concerned and vigilant about the on-going maintenance of the school and any future use the School District decides to make of the site if it does close the school. The letter stated that our preference would be to continue to have our neighborhood children attend our local school and that we are proud of the progress students have made since Principal Long has been at the school. Ms. Weaver emphasized that even if the school closes the children are still our neighborhood children and we remain concerned about their safe routes to school and their safety in the neighborhood. Chair Weaver invited Principal Long to talk. He stated that the NCSD Board has not yet made its decision about Campbell known. They might or might not announce a decision at their open meeting this coming Thursday night about Board actions that could include the closure of Campbell school or other schools. 6th graders will be moving from all district elementary schools to the middle schools next year. This will increase class sizes there up to around 30 or 31. This move will further reduce the size of Campbell school to about 230 students. The possibility of closing Campbell exists because of the small projected size of students grades K-5. Closing is also possible due to the structure of the school being spread out and very difficult to maintain security. It is not ADA accessible nor would it be able to be retrofitted to meet the current standards. There was also a brief discussion about its high risk and lack of earthquake hardiness. An unidentified neighbor asked why $2 million had been recently spent on the school if the intention was to close it. Mr. Long advised that the $2 million had been spent last year to upgrade the roof and to repair immediate plumbing and flooring problems. At that time there had not been any plan to close the school and the bond levy was provided to do the necessary maintenance and infrastructure upgrades. Mr. Long responded to an unidentified neighbor’s query about why the gym had been upgraded if it would not be used in the future; Mr. Long stated that the gym is used nearly every night now for school district and other nonprofit organizations for t heir leagues and as far as he knew would continue to be used in this manner. He urged those who felt they wanted to comment further on the possible closure of Campbell school to attend the Board Meeting Thursday night at Putnam HS, perhaps as a cohesive group, and to bring the message to that venue. 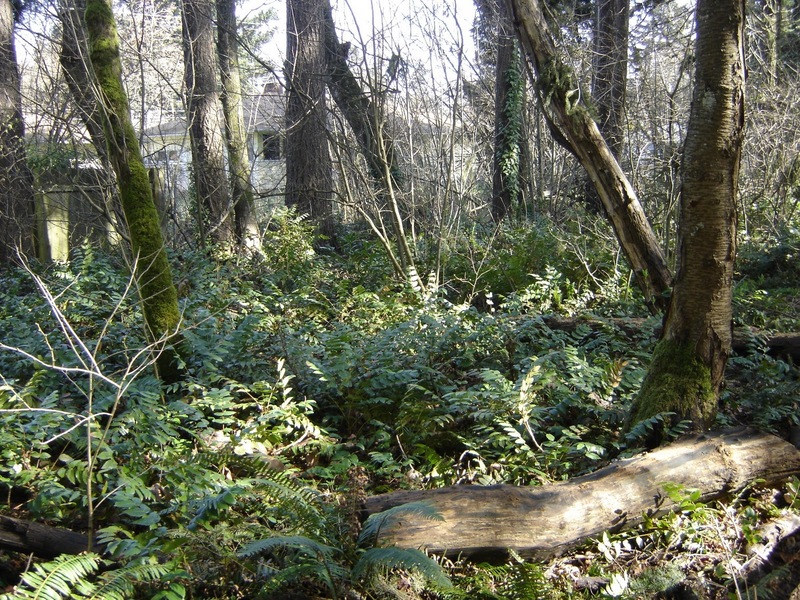 Parks Report: Sarah Smith advised that there will be a Homewood Park work party on Saturday, March 26th from 9am-noon to pull invasive ivy and to plant western sword ferns in the natural area. Workers please bring work gloves and bring a wheel barrow. Refreshments will be provided. 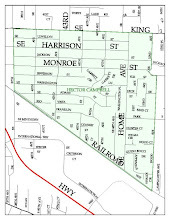 Homewood Park is located on SE Home Avenue between Monroe and Ada Lane. Please do not park on the Garrett Drive end of the park. a) Mr. Aschenbrenner (Chair, City Budget Committee) advised that Budget Committee meetings will commence this month. b) Light Rail Meetings: An Open House on light rail design was held at MHS last week (click HERE for presentation materials from the open house). Two more Open Houses will be held and those will be excellent times to contribute to the design of things like lighting, fencing, concrete retaining wall design, and so on. The third Monday of each month a regular Light Rail Advisory Committee meeting is held at the Public Safety Building, 7pm. Look on the city’s website for more information. c) City Staff Liaison Pat DuVal reported that First Friday will begin again on April 1st. Volunteer Appreciation luncheon will be held April 16th. 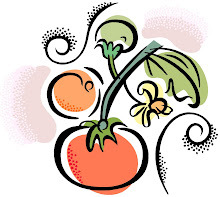 The Farmers market will open on Mother’s Day May 8th. d) Clackamas County FD #1’s latest newsletter is available on: http://www.clackamasfire.com/documents/communitynewsletters/201102.pdf and monthly in the NDA’s email at info@hectorcampbellnda.org. ADDED ITEM: A question by a neighbor after the meeting was whether we could request city staff to look into parked traffic on Washington between 40th and 42nd and whether there is sufficient clearance for emergency vehicles. This question was referred to City Engineering and Public Works and a report on the outcome will be made at the next meeting. Neighbors are encouraged to raise such issues with NDA officers either during our meetings or by phone or email at any time. That is one of the purposes of your NDA – to make sure our neighbors’ questions and concerns are raised at the appropriate level. Thank you to everyone who turned out to our Monthly Neighborhood meeting last night. It was refreshing to see so many people interested in our neighborhood. Below is a letter from our neighborhood leadership to the North Clackamas School District concerning their proposal to close our neighborhood elementary school. We encourage our neighbors to attend the School Board meeting this Thursday, March 17th. 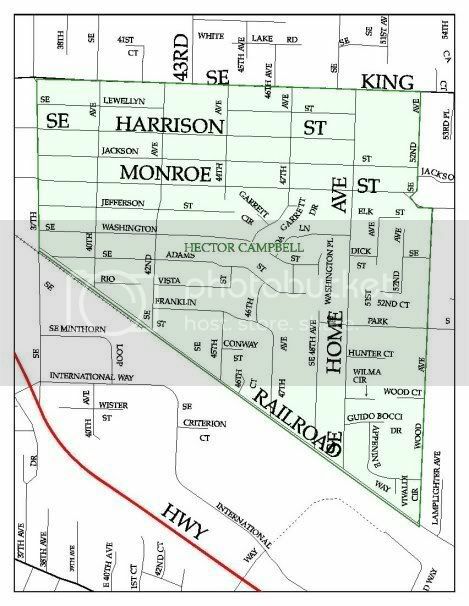 I am the Chair of the Hector Campbell Neighborhood Association and am writing on behalf of our association with regard to (1) the pending decision to close Hector Campbell Elementary School, and (2) our desire to improve communication between our association and the school district. First, we understand that the decision to close any school is difficult for everyone and that many factors are considered before a final decision is made. I’m sure you are aware that our children are happy at Campbell and that Principal Curtis Long’s leadership has been a major factor in the marked improvements to children’s test scores and the safe and supportive environment at Campbell. Our association has worked hard to support school events, we have joined the PTA, and we have spent many hours researching pedestrian, biking, and vehicle traffic and school zone safety issues and a variety of projects to improve those concerns with funds that have been made available by the City of Milwaukie’s new Walk Safely Milwaukie Program. Often, people express their desires to smaller groups but may feel it is hopeless or too difficult for them to communicate individually with the district. Therefore, as Chair of the Neighborhood Association, I want to share with you that many neighbors have expressed a strong desire for Campbell to remain open even though we understand the issues that have made closing a possibility. In this case, history and community play a big part in our desire to keep Campbell open, as well as the necessity for moving so many children in three different directions (four, if you count the change placing 6th graders in middle school) – even some who just came to Campbell last year due to boundary changes. Second, we are disappointed in the lack of communication between the school district and Hector Campbell Neighborhood Association, and want to take whatever steps we can to improve our relationship. Many were disappointed that the meeting notice to talk about closing Campbell was to parents only, and felt that the Neighborhood Association officers should have been informed and invited. Our goal is to work harder to establish better communication with the district in the future, and hopefully, to be more involved earlier in the discussions of any changes that affect our neighborhood. This would include plans relating to maintenance of the building and grounds, and future plans to lease the use of the building and/or grounds. We are also very interested in the future transportation plan for the children of our neighborhood and intend to continue looking at safe routes to school(s) and other traffic related issues which need addressing. Better communication with you about these and any other shared neighborhood issues will allow us to (a) provide accurate and timely information to the neighbors who do not have school age children, (b) anticipate needs which we may be able to assist in meeting through neighborhood resources, and (c) support a variety of school and district activities in the future. Our association would appreciate your suggestions for how we can improve communication with the district in the future. We already receive the district email letter and list of highlighted activities. This year we purchased a membership in the HC PTA in an attempt to connect more closely with the activities and needs of the school. We are concerned that approach is not going to work very well if our children are divided among 3 new schools. We welcome your comments and suggestions either in a written reply or by attending one of our association meetings the second Monday of each month at 7 PM. Please contact Linda Hedges (Linda@hammy.org) to be added to our agenda anytime it is convenient for you or your representative. Please come help neighborhood volunteers at Homewood Park. 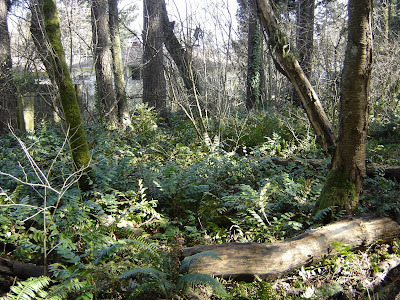 We will be working on invasive ivy removal and will plant western sword ferns. Wear work gloves and bring a wheel barrow if you have one. Refreshments will be provided. Homewood Park is located on SE Home Avenue between Monroe and Ada Lane. Please walk to the park or Park on Home Avenue (please do NOT park on the Garrett Drive end of the park). For more information call Sarah Smith 503-313-0638.